Normally, Thai people are not very open to hear about the Christian faith. In recent years, however, Christmas is now celebrated along with New Year season in mid to late December. Shopping malls put up elaborate Christmas decorations, with giant Christmas trees. Christmas music is played. And so, once a year, there's an opening. Thai people gladly accept Christmas gifts from Christians. 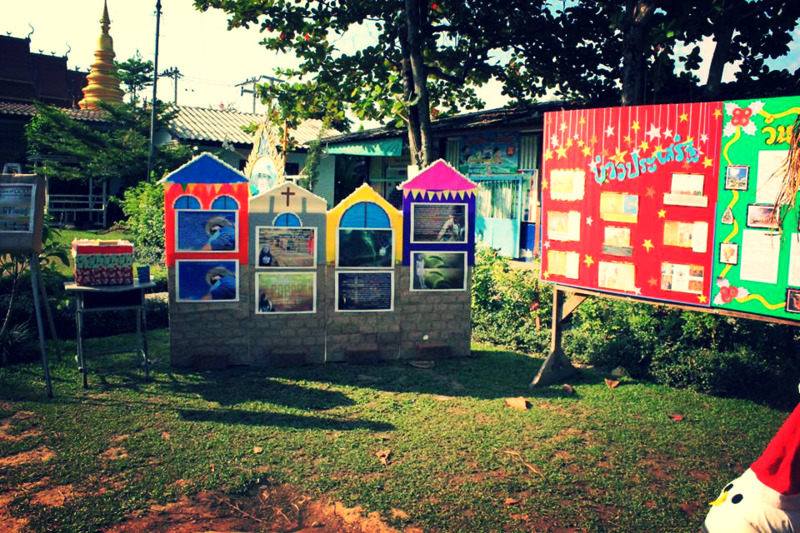 THAI WORD promotes Evangelistic outreaches on Christmas by partnering with churches and Christian organizations. Together, we give away "Christ the King, a Thai Christmas Story" as part of Christmas presents to the Thai people. The book is a great conversation starter. For most families, this will be the only Christian literature in their homes. THAI WORD will continue to create new Christian literature that will be given away as outreach tools for other auspicious occasions, such as Easter, Valentine's Day, weddings, birth of a child, etc. THAI WORD is a 501(c)(3) tax-exempt religious nonprofit organization.